Do I really need one to teach abroad in China? Do I actually need to pay $2,000 USD?!!!!! TEFLs are one of the most confusing aspects of teaching abroad, and not too long ago, I was in your shoes asking all the same questions. With a million different types of TEFL certification programs, price ranges all over the map, “scam TEFLs” and more, picking a course can be super intimidating. Well, after living in China for the last few years and doing hours of research for Go Overseas where I work as a Teach Abroad Expert staff writer, I’ve compiled all of the information you could ever want to know about getting a TEFL for China. TEFL stands for “teaching English as a foreign language”, not to be confused with TOEFL, the test Chinese students need to take to get into American universities. By taking the TEFL course and exam, you’ll show employers that you’re qualified to teach abroad, without needing an actual teaching certificate. With a TEFL degree, you can teach anywhere from Asia to South America! There are many different types of TEFL programs. Some require you to be on-site for in-classroom training, while others let you do it all online. My TEFL was a mixture of both. We took an online course and test and then flew to China to complete our in-class training. Do I Actually Need a TEFL to Teach in China? Do you want to teach legally and get a great job? Yes. Do you want to teach illegally part-time on a tourist visa? Probably not. In order to get a teaching job legally in China, you need to be a native speaker with a four-year diploma and a TEFL certificate. While you can definitely get a job teaching English in China through other routes, without a TEFL it will be difficult for you to find full-time employment, impossible to procure a long-term visa, and you may also be screwed over since you’ll have no legal backing. While some schools may be more than happy to hire you without a TEFL, these may not be the schools you want to work for. The reason they want TEFL-less you, is either because they can’t afford a teacher with a TEFL, or they can’t get a teacher with a TEFL to agree to work for them… or they just don’t want to deal with getting you a visa. The main issue with teaching in China without a TEFL is that you won’t be able to qualify for a visa. If you’re studying abroad and want to do some teaching on the side, this won’t be a problem; but if you want to teach full-time you’ll run into visa issues. While many people decide to teach abroad on a tourist visa, these visas are short-term, meaning you’ll have to leave the country every few months. If you want to teach over the summer for three months, this is probably fine, but if you want to work for an academic year you’ll need your TEFL. Join My Teach Abroad Mini Course! But Richelle, I’m not a native speaker so I can’t get a proper work visa anyway. How do I find a job? What’s the point of getting a TEFL? If you’re not a native speaker, or you don’t have a bachelor’s degree, I 100% recommend getting a TEFL. Why? Because you’re much more likely to be hired if you at least have 2/3 of the qualifications rather than none. Some schools and centers can even label you as an “exchange expert” or some other random position to be able to get you a legal visa. A TEFL is a way of proving you speak English well, and will be able to do your job. Without one, you’ll have a difficult time finding a job. What Will I Learn in a TEFL? Now that we know what TEFLs are and why you need one, what will you actually learn? One of my biggest fears coming to China was that I didn’t know how to be a teacher. I had never really taught a class before, and I had no idea how to manage a classroom. Sure, I know how to speak English, but how do I actually teach English?? How do I make a lesson plan? What do I teach them? How to I manage fifty students in one class?? The TEFL course will teach you all of these things and more! Classroom management, how to create lesson plans, getting shy students to speak up, entertaining while educating… the list goes on and on. After completing my TEFL, I no longer felt like I was in over my head. I arrived at my school ready to try out my skills. I knew how to manage a class of 50 high schoolers, and how to educate while also being fun and entertaining. The primary purpose of the TEFL is to teach you to be a better teacher. Sure, you can figure it out on your own over time, but I still use the lessons my TEFL taught me. One of the greatest lessons I ever learned was to NEVER ask “do you all understand?” Think back to your time in school. What self-respecting kid or teenager is going to admit in front of a class of 50 students that they have no idea what’s going on? Yeah, I thought so. The TEFL gave me other ways to check my students understood, without putting anyone on the spot. In-person vs. Online, At home vs. Abroad – There are too many TEFL programs to choose from. Today I’m going to give you a brief overview so you can try to make the right decision. Getting your TEFL abroad isn’t cheap. Most programs cost around $2,000 USD and involve a few weeks or more studying. These TEFL courses are intensive, and usually, offer help finding a job in that country after the program ends. What’s the benefit of paying this much? While most TEFL courses are general, if you get a TEFL in China you’ll learn information that’s specific to teaching in China. You’ll learn to deal with students who don’t want to speak up, giant class sizes, and who are deathly afraid of getting a question wrong. These programs are also really fun and social. You’ll make friends with people who will end up teaching all over China. You can network, exchange contacts and help one another find jobs. If you’re really nervous about teaching, you’ll also get hands-on experience that you wouldn’t get taking a TEFL course online. Practice teaching a group of your peers, attend demo classes, and ask questions in a safe environment! Finally, in-person TEFLs are more prestigious, and the best option for career teachers who want to develop their skills. In-person TEFLs are an investment, so for those of you who want to make teaching a career, I recommend going this route. Honestly, if you’re going to pay $2,000 USD for an in-person TEFL program, you might as well do it in China. I only recommend in-person TEFLs at home if you get a huge discount, or you have no idea where you want to teach. This is by far the most affordable and convenient option. If a TEFL is merely a means to an end when it comes to teaching abroad (and let’s be honest, that’s most of us!) I 100% recommend getting a TEFL online. Rather than $2,000 USD, you can expect to pay around $300-$500 USD. You can take your time and study over the course of a few weeks, or if you’re a crazy person like me, you can do it in a few days. You’ll still learn most of the lessons you’d learn through an in-person TEFL, you just won’t have the practical lessons, guidance, and country-specific information that you’d get if you studied for your TEFL in China. Getting a TEFL online is something you can easily do while finishing up your degree or working full time. You can also do it while traveling or teaching part-time on a tourist visa! However, when it comes to online TEFL programs it can be difficult to tell which ones are legitimate. Many online TEFLs are a scam, and your certificate won’t be recognized when you apply for a job in China. The high school I used to teach at! Which Online TEFL Should I Get? Through all of my research, I’ve found that the best affordable option for teaching in China is MyTEFL. At only $299, They come highly recommended from multiple accrediting institutions and even have a 4.5 rating on TEFL Course Review. I’ve now recommended MyTEFL to 50+ readers (that I know of), and not one of them has had any issues with the company or finding a job in China once they finished the course. Seriously, I’ve done my research on this one so you don’t have to. If you want to get a job in China, you’ll need to do the 120-hour course. This will ensure that your TEFL is recognized not only by the government but also by any school in China you choose to apply to. Head’s up! I have a partnership with MyTEFL for 35% off with the code ASIAADV! I’m going to let you in on a little secret: there’s no such thing as a free lunch TEFL. You are paying for that TEFL through a lower salary. With a TEFL already in your pocket, you can command a much higher salary than your friends who get one “for free”. These TEFLs usually pay for themselves in the first few months. For those of you who are confident enough to find a job outside of a program through a recruiter, already having a TEFL certificate is gold. You’ll get paid just as much (or more) than your friends teaching at an ESL cram school, but you’ll work fewer hours with much less pressure. However, if you do want an on-site TEFL and don’t have $2,000, an “internship” program is a good way for you to get your on-site TEFL for free. For example, MyTEFL will provide their on-site TEFL at no cost if you work at a school for 5 months to make up the difference. Travel around China on your breaks! Join My Teach Abroad in China Squad! I’m sure many of you still have a lot of questions and concerns- I know I did! That’s why I’ve created a FREE Teach Abroad Mini Course that will answer all of your questions about teaching abroad in China. 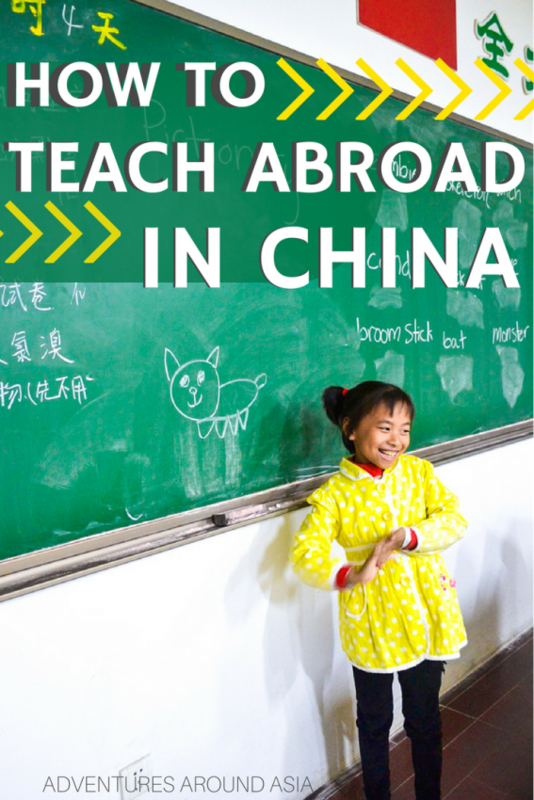 By signing up for my mini-course, you’ll also become a part of my Teach Abroad in China Squad, where you’ll be the first to know about any amazing jobs, discounts, or opportunities when it comes to teaching abroad in China! What are you waiting for? Let me help you get started! I’m currently looking for a teaching job in Thailand and and have been avoiding using recruiters because they are often expensive, but those that claim they’re free must mean their commission or pay must come from somewhere. Do you recommend using a recruiter or have any tips to avoid scams? Hi Taylor! I’m actually not super familiar with the intricacies of not getting scammed teaching in Thailand, but from what I’ve heard most people show up and find a job in-person there. 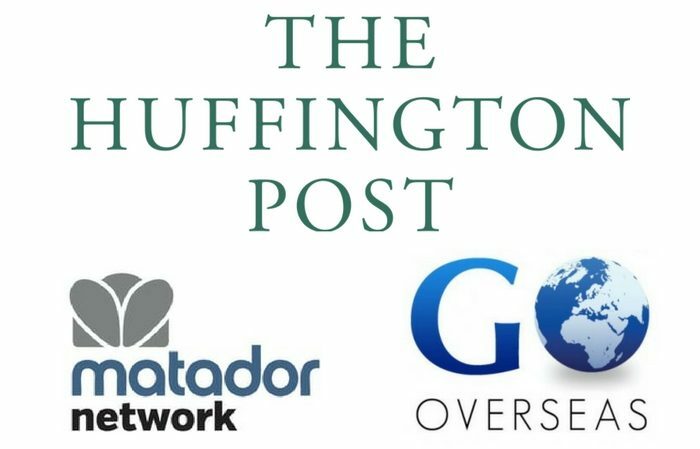 You can check out http://www.GoOverseas.com for more information. I write about teach abroad for them, and they have some great stuff on Thailand. As for my job in China, I found a job through a “program”, which was really a glorified name for a recruiting company. The school I worked for actually paid for my TEFL and flight, not the recruiter. But to make up for all those costs, I was paid the average wage of a normal teacher at the school which was 5,000 yuan. The people with the best jobs in China are the ones who found recruiters once already in China who set them up with a public school (not an ESL after school program). They were able to meet the administration and negotiate in-person. I used a “program” because I was afraid of getting screwed over, and I was screwed over anyway! A very informative post, and spot on! I like that you mentioned that you get what you pay for when you shop for a TEFL course. It’s also important to make sure the courses are accredited and don’t expire. Online options are great for convenience but you also have the opportunity to study and live in the country where you want to teach, and be set for job assistance when you’re finished! I personally taught in China and Thailand (documented on my blog, http://www.MissAdventureTravel.com), which then led to my own TEFL agency, TeachEnglishESL.com. You never know where teaching abroad can lead you! Wow that’s awesome you were able to turn your passion into a career. My TEFL was a mix of both online and in-China classes, which I enjoyed. I’ll have to check out your posts on China and Thailand. I’d love to know the differences between countries for teaching. I feel like I know a lot about China, South Korea and Taiwan but not anywhere else! I’ve been looking for a good deal on a reputable TEFL course, so this is awesome! Do you know how long the 35% off will be good for? Hi Polly! My 35% off code is always good so feel free to take your time! Great article! A lot of people forget that teaching English abroad actually needs some training. I prefer online TEFL options because of the value, and because of the ability to choose from a variety of destinations. I went with Mytefl over a year ago, and when I finished, I used them to help me secure a job in Taiwan. I was thinking of doing an in person course in Thailand, but realised I would only be helped getting a job in Thailand and no where else. I’m happy with my choice, and love teaching out here. Oh wow that’s great to hear you had a good experience with MyTEFL. They seem like a great company and I’m happy to recommend them. I agree though, an online TEFL is more applicable if you want to a have a choice in which country you teach abroad. I’m so jealous you went with Taiwan. It’s my favorite country! I’ve considered teaching abroad before but have never done so. So glad you found it helpful! Be sure to let me know if you do decide to teach abroad! Hi Richelle! . I’m 67 years old and always assumed I’d be considered too old to teach English online. But perhaps my assumption is not correct. I say “online” because at this point I probably can’t travel due to family responsibilities. I am a retired Computer Systems Analyst with a bachelor’s degree in Computer Information Systems from Friend’s University, Wichita, Kansas USA. While I have helped some people online (Skype) with English who live in Central and South America, the Middle East and Russia, I have not taught formally. I was not paid for any of this assistance, I just enjoyed helping people from different cultures, and found the mechanics of foreign languages interesting. I have no official teacher training or teaching certificates. To make this short – am I actually marketable as an online TEFL teacher, or am I just dreaming? Hey Phil. Great question! I don’t believe there’s any sort of age restrictions for online teaching, especially since you don’t need a visa. Sasha and Rachel from the Grateful Gypsies actually just wrote an awesome guest post about how to teach online if you want to check it out. They work with VIPKID and really love it. You should have a look at their site and apply for VIPKID!